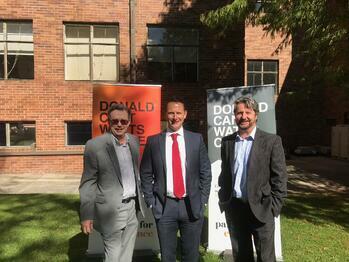 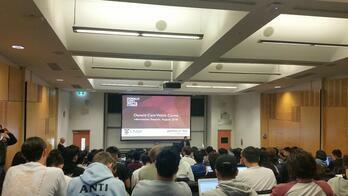 Donald Cant Watts Corke held a BBQ for students at the University of New South Wales to promote our Cadet Program. 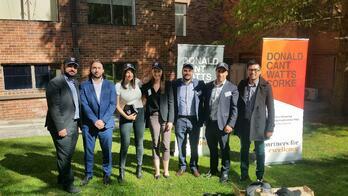 Various Donald Cant Watts Corke representatives including NSW Director Paul Tomsic, attended and spoke with students about the cadetship and career opportunities with us. 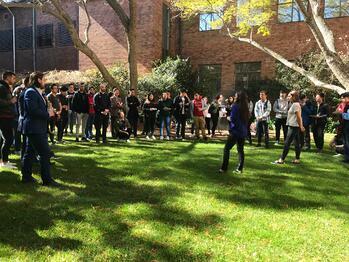 Special further mentions to NSW Project Management leaders Madison Molloy who presented on the Thursday on the lawns (as pictured) and John Kilzi who presented on the Friday to 1st year students on Time management from a Project Management perspective.